Picture it: pedal to the metal, wind in your hair, lazy pit stops, and freewheeling adventure. The open road might be just the antidote to months of seating arrangements, vendor meetings, in-law appeasing, and premarital plotting. A honeymoon road trip means tons of time together with uninterrupted hours to rehash and remember the big day, or to sketch out daydreams of the future. (And maybe a little of both.) Road trips make sense for spontaneous thrill seekers and map-plotting planners alike, and countless options abound for both the frugal folks and those with big travel budgets. Would it be corny to point out that the open road is just the thing for those who love a metaphor? You know, “marriage is a journey” and all that. Whether you like the idea of pulling out of the driveway to nearby parts unknown or jet-setting to an awaiting rental car on the other side of the globe, here are five drivable vacations, where getting there is all the fun. 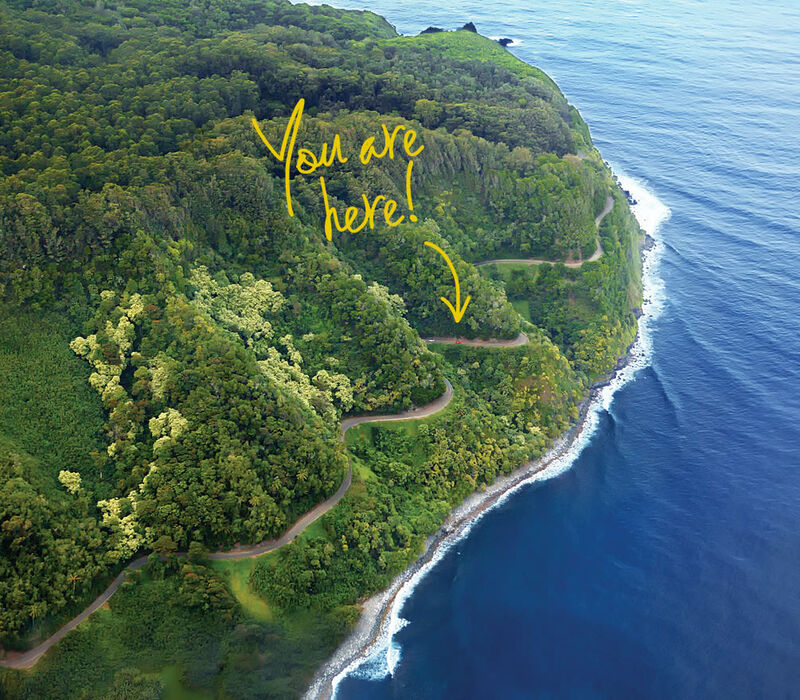 With dozens of waterfalls, a bamboo forest, lava tubes, and more, the 52-mile Road to Hana in Maui is the quintessential joy-is-in-the-getting-there drive. “People are always amazed at how peaceful it is,” says Lori Rogers of Portland’s Azumano Travel (check out Azumano’s honeymoon registry!). 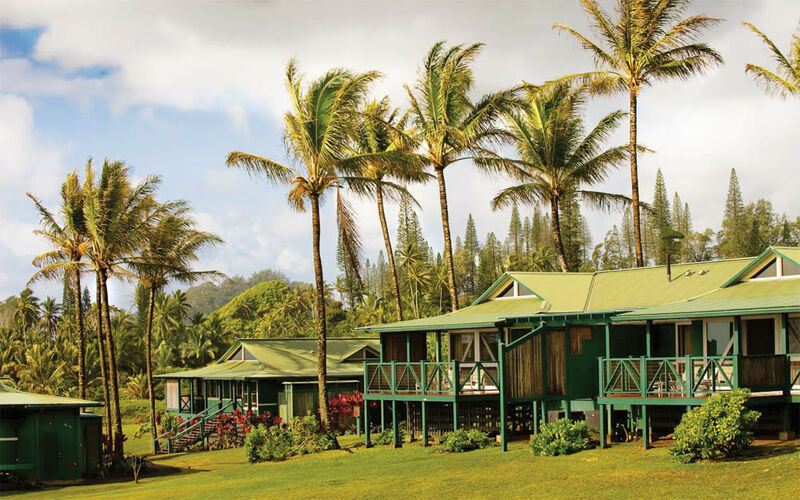 If you really want to take ’er easy, book a room at the all-inclusive Travaasa Hana resort (try the guided meditations and outdoor yoga), and take day trips to places like red-sand Kaihalulu Beach and hidden Waioka Pond. »Solar Flair Open jeeps plus beach time galore equals a recipe for sunburn. To avoid spending your vacation parked beneath the palm trees, slather on the sunscreen and reapply throughout the day, says Portland makeup artist Austie Eckley. 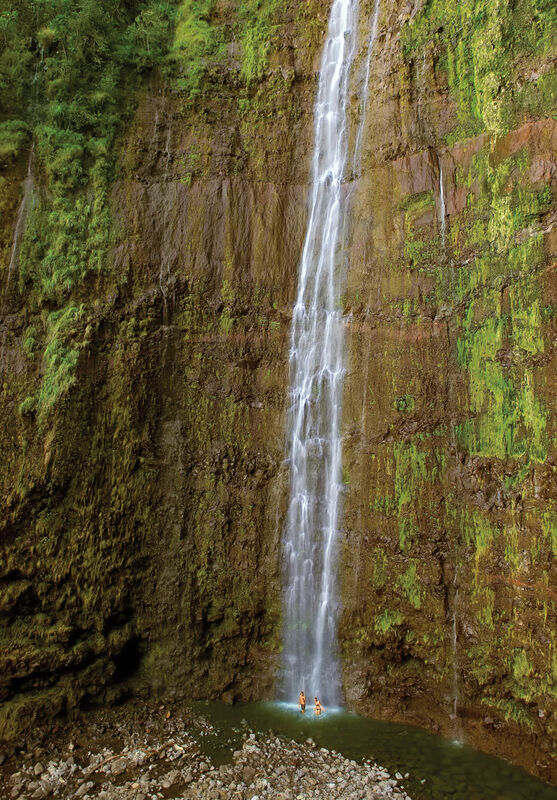 Every two hours is smart, or sooner if you’ve been sweating it out on the picturesque Pipiwai Trail to 400-foot Waimoku Falls, or splashing in the lush Keanae Arboretum’s Piinaau Stream. Eckley recommends non-greasy, lightly tinted Arcona Reozone SPF 40, available at Blush Beauty Bar. Also stash SPF lip balm, hats, and bug repellent in your backpack. Rental: A convertible in high season (December to March and June to August) starts around $162 per day, but with so many reasons to stop and explore, go with an economy car and save your money for macadamia nuts. Peppered with one-lane bridges and hairpin turns, the road is narrow and crowded, so use pullouts—a quick double honk from a passing local means thank you. Fuel: Under $40. Gas is more expensive in paradise, but this is a short trip. Home to five wine regions, the Golden State is a great place to stretch your vino wings with a mere two-hour flight. “Flying into Oakland is the least expensive route,” says Portland-based Luxe Event Productions’ Misty Damico, who spends nearly every birthday in the area. From there it’s an hourish drive to rich Sonoma chardonnay (hop aboard a hot air balloon or ride a zip line, too) and Napa’s collectible cabernets. “Take the Silver Oak tour in Napa,” Damico urges. “You’ll sip $100-plus wines for over an hour and you get to keep your glass—well worth the 20 bucks!” Then head south for Santa Barbara’s sublime pinots. Recharge in a private tree house, luxury resort, or, perhaps, San Luis Obispo’s landmark Madonna Inn, where each room is themed: e.g., Bridal Falls, Caveman, Jungle Rock…. • Don’t feel like you have to drink what is poured for you—wineries typically pour six wines on average. Spit it out and pace yourself. • Get recommendations from wineries you like about where to go next. Three or four per day is plenty—more will dull your palate. • Rental Cars start at $30 per day—just be sure you have enough trunk space to stow favorite bottles for anniversaries. • Fuel Around $100 for the 400-mile trip through the state’s vineyard core. You could easily spend an entire trip indulging in fine Nordic cuisine (try the cutting-edge Dill Restaurant) or perusing high-fashion boutiques in Reykjavik, the capital of this tiny island perched on the Arctic’s periphery. But the Icelandic wilderness, a veritable moonscape born of active fire and ice with front-row views of the dancing northern lights, will sing to you like a siren. Its 830-mile Route 1 Ring Road encircles the island, passing thundering geysers, misty geothermal pools (the Blue Lagoon is a must), creeping glaciers, black sand beaches, and herds of friendly, furry Icelandic horses descended from those brought over by the Vikings in the 800s. “You’ll encounter nature in the raw inside Vatnajökull National Park with Dettifoss, Europe’s most powerful waterfall,” says Lisa Groza of the Pearl District’s USTravel. “Or hike into the Askja volcanic crater and take a dip in the milky turquoise geothermal lake.” There’s also horseback riding, dogsledding, whale watching, and World Heritage sites, and with 24 hours of summer sunlight, you just might be able to do it all. »Rest for the Weary Keep it simple by renting a camper van or booking private accommodations through Airbnb along the way. Rather live it up? Stay a couple of nights at Hotel Rangá, an überluxury lodge in the desolate south. Rental: Standard cars in peak times (June to August) run around $92 per day, but you’ll pay more if you can’t drive a stick. In the off-season some roads permit only four-wheel-drive vehicles. Fuel: It ain’t cheap—budget at least $300 for your tour. If you’re of the mind-set that remote settings make for romantic adventure, pack your passport and navigate the tranquil winding roads of Vancouver Island, Canada, up to Tofino. Get settled at the laid-back-luxe Wickaninnish Inn and immediately sign up for an Ancient Cedars Spa couples’ hot stone massage followed by dinner at the inn’s excellent Pointe Restaurant. Toast married life with bubbly from their stellar wine list as you watch the crashing waves and plot what’s next: kayaking past snowcapped mountains in the inlet, stand-up paddleboarding, whale watching, and soaking it in at Hot Springs Cove. »In Your Trunk Scuba-diving gear (shipwrecks, giant Pacific octopus, wolf eels, oh my! ), both your bikini and your raincoat, and some good books—these parts are prime for post-wedding unwinding. Go the Distance: It’s four hours from Portland to the Port Angeles ferry terminal on Washington’s Olympic Peninsula, where you’re round-trip ticket for the 90-minute ride to Victoria is about $80. With only two to four sailings a day, depending on the time of year, it’s worth another $16 for a reservation. Before you’re next four-hour drive to the island’s west coast, check out the picture-perfect BC capital. Azumano Travel’s Nancy Parrott recommends the majestic Fairmont Empress’ afternoon tea—it’s fit for a queen. Really. Queen Elizabeth II herself has enjoyed the hotel’s famous raisin scones and clotted cream. Start your wedded life with a bucket-list trip: immersing yourself in the natural splendor of Yosemite, that national park filled with granite cliffs, giant sequoia groves, and clear streams that Ansel Adams famously turned into art. “It’s such a magical spot!” says Portland wedding photographer Yasmin Khajavi. “My two favorite places are Glacier Point and Taft Point—at both the views of the Yosemite Valley and El Capitan are unreal. Taft is more of a hike, but it’s less populated.” Pack your rock-climbing gear and road bikes, or rent a canoe and paddle pristine lakes. Afterward, nab a table on the Wawona Dining Room’s veranda—they offer a classic western barbecue on summer nights. Go the Distance: You could make it there in under 14 hours (mostly on I-5) if you have a need for speed, but we suggest cruising scenic Highway 101 along the coast (play a round of traditional links golf at Bandon Dunes) or hitting hot spots like Crater Lake along the way.